My red fountain grass grew last year and was beautiful. I cut them back in late fall and mulched around the bottoms for protection. This year I do not have one green leaf. . . nothing. Is there anything that will help. . . . or just remove and replant? 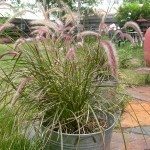 In cold climates, you should grow fountain grass as an annual. 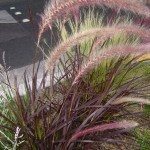 However, it is common to have inconsistent growth with fountain grass. Warm-season grasses, such as fountain grass, won't start growing until mid to late spring or even early summer. If there are still no signs of life by late spring/early summer, chances are good that the plant did not survive winter and will need to be replaced. I just wanted to say Thanks to Nikki for that answer. At least now I don't feel I'm to blame for killing the fountain grass.